Although we did a lot of preparation prior to travel, nothing could have prepared us for the warm welcome we received at the site. It was truly moving and I have no doubt it is something that none of us will ever forget. 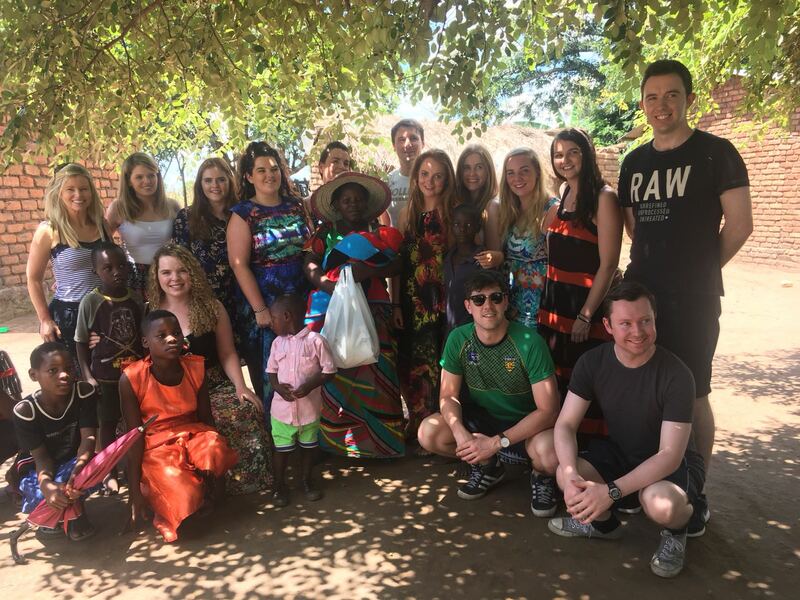 Fifteen trainee solicitors from the Law Society of Ireland recently returned from Malawi, where they helped four families to build safe and decent Habitat homes. Team member Jason McMenamin, of Leman Solicitors, gives an account of the team’s experience. 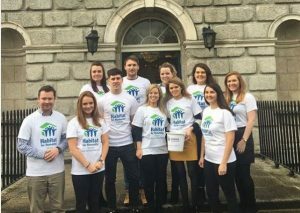 For the last number of years, a team of trainee solicitors who have just completed the Law Society PPC1 course have volunteered with Habitat for Humanity Ireland. This year’s trainees were delighted to have the opportunity to travel to Malawi to keep up this longstanding CSR tradition. As with previous trips, each team member had to fundraise €3,000 prior to travelling and this was achieved through many different forms including a white-collar boxing event, pub quizzes, bake sales and raffles to name but a few. It was a great way to build a relationship and develop our organisational skills with our team even before we travelled. The Law Society team chose to be involved in this particular project with Habitat for Humanity because of the long-term benefits of families having good housing, including greater opportunity for education, improved health and long-term employment. The team met in Dublin airport on St. Patrick’s Day as the Irish rugby team battled it out against England. Soon after Ireland claimed the Grand Slam, we departed on the long but exciting journey to Malawi via Ethiopia. After our arrival in Malawi and allowing some time to recover from the journey, the team were then prepared for our task ahead. We were up early on Monday morning donned head to toe in our building gear: boots, gloves, factor 50 sunscreen and Habitat for Humanity t-shirts. The team travelled by bus to the site, which was in an extremely rural area of Salima which is a township in the central region of Malawi. Salima, like most of Malawi, borders Lake Malawi which is a vast lake roughly the size of Belgium. In fact, it is sometimes referred to as the ‘Calendar Lake’ as it is roughly 365 miles from top to bottom, 52 miles at its widest point and 12 main rivers flow into the lake. The journey took about 1 hour each way from the lodge where the team stayed. Although we did a lot of preparation prior to travel, nothing could have prepared us for the warm welcome we received at the site. It was truly moving and I have no doubt it is something that none of us will ever forget. Our bus was met early on the first morning in the village, as it was on subsequent mornings, by many excited children who were always so cheerful and happy to see the team and would run alongside the bus waving and singing. 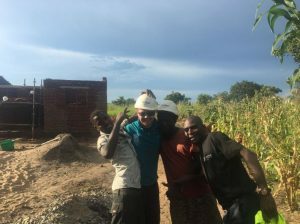 The first morning on site saw the team receive a crash course in construction through Chewa, which was provided by the very capable tradesmen and builders on site. Chichewa and English are the two main recognised languages of Malawi. Their similarities are few. From there, we divided into two teams and began building. 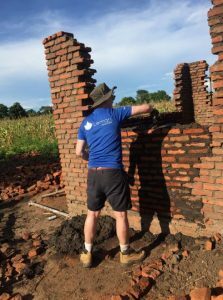 We were somewhat daunted by the task in hand – that is to build a brick house in four and a half days, under the heat of the African sun. However, we need not have worried as we were assisted by the extremely helpful local communities as well as by the beneficiary family members. 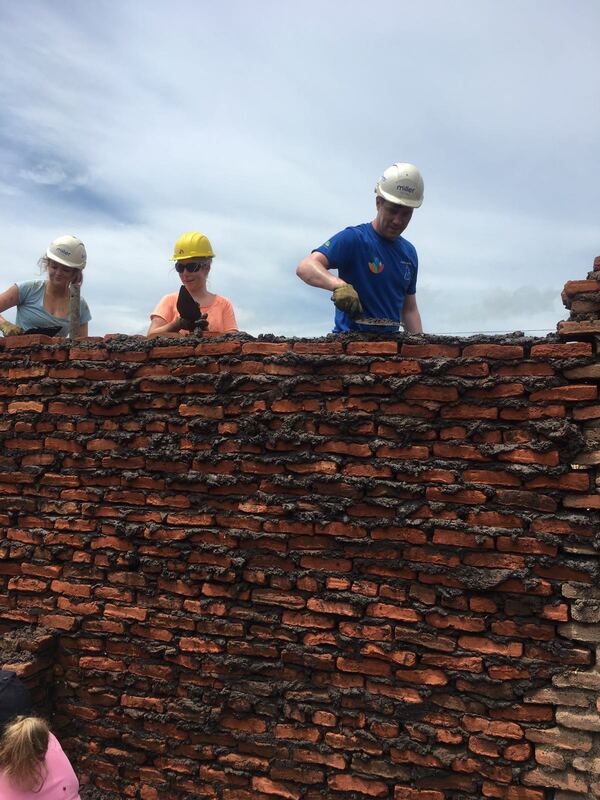 From then on it was all systems go, the fast development of the walls and the pride and excitement of the new homeowners’ faces spurred the team on to work as hard as they could over the next two weeks. We were informed soon after the third day that due to our fast progress and skill we would in fact be building four houses. Although the team was exhausted from their hard work, each break-time was spent playing with the children. We were amazed to see how imaginative the children were with so little materials. The days passed very quickly and each day brought the houses nearer completion so that they could be handed over to the very proud new homeowners. The Law Society team were made to feel so very welcome and received overwhelming hospitality from the local people. Although they had very little of material value they had a huge community spirit which saw everyone in the village lend their hand. I would like to thank the community for the life lessons that the team developed during our time in the villages. It showed us that happiness does not depend on what you have or who you are. It solely relies on what you think. 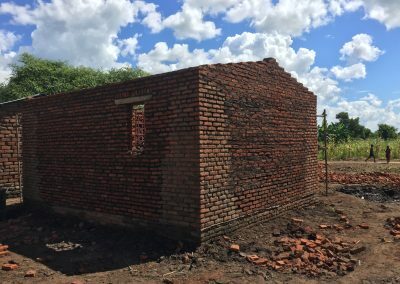 On the final day before we made our way back to Blantyre where we would fly from, we attended a hand over ceremony with the local chiefs for the four new houses that we had constructed. The local community blew us away with their unique entertainment, dance and costume. We were also lucky to sample the local cuisine and serve the families a meal before we sadly parted ways. Malawi is a country of immense beauty, yet also of extreme poverty. The country is rated as one of the least developed countries in the world. 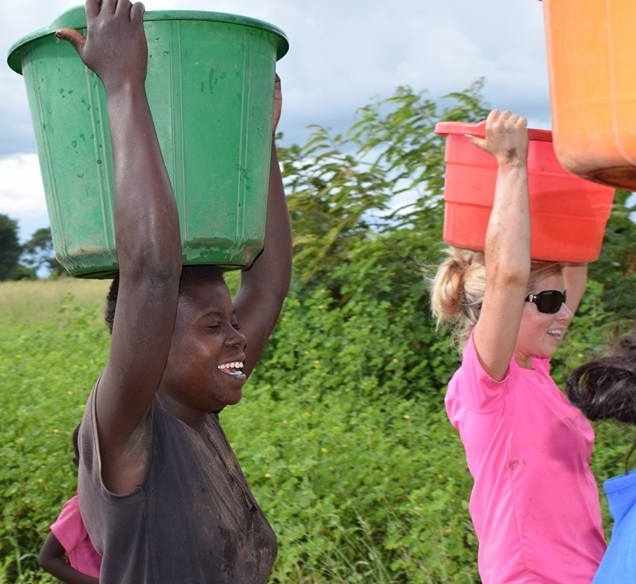 Malawi has a population of 17.3 million and ninety per cent of its population lives in rural areas. The economy is predominately agricultural and is dependent on substantial international assistance. Because of the widespread poverty, four out of five families live in substandard homes, with little hope of ever being able to afford a decent house. A typical village hut is built of mud and daub with a dirt floor, thatched roof, and requires frequent repair. Many families told us that they have had to use umbrellas inside their own homes to protect themselves from the rain, while the children had to protect their homework in plastic bags. These conditions put families at high risk of all kinds of diseases, with the leaking roofs making the house damp and mud floors attracting insects. Habitat for Humanity’s vision is a world where everyone has a decent place to live. 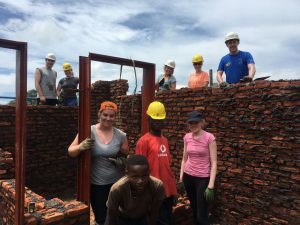 As a global housing organisation, they fight poverty by collaborating with people and communities all over the world – helping them to build or improve a place they can call home. A safe home saves lives and provides the foundation for families to build their future and achieve essential human rights, such as health, education, and privacy. Habitat for Humanity Ireland are always looking for volunteers and more information can be found at www.habitatireland.ie. The team that travelled from the Law Society of Ireland included the following members: Jason McMenamin, Anna O’Carroll, Conall Shaw, Aoife Coughlan, Claire Finnegan, Conor McCormack, Helene Gallagher, Jade Sheehan, Lorraine Walsh, Megan Murphy Byrne, Natalie Bourke, Rachel McCausland, Sarah Fleming, Shane Walsh and Shauna Marron. Habitat for Humanity Ireland would like to thank the Law Society of Ireland team for their hard work and dedication. Everyone deserves a safe, decent, and affordable place to call home. A home brings with it stability, security and hope for a brighter future. 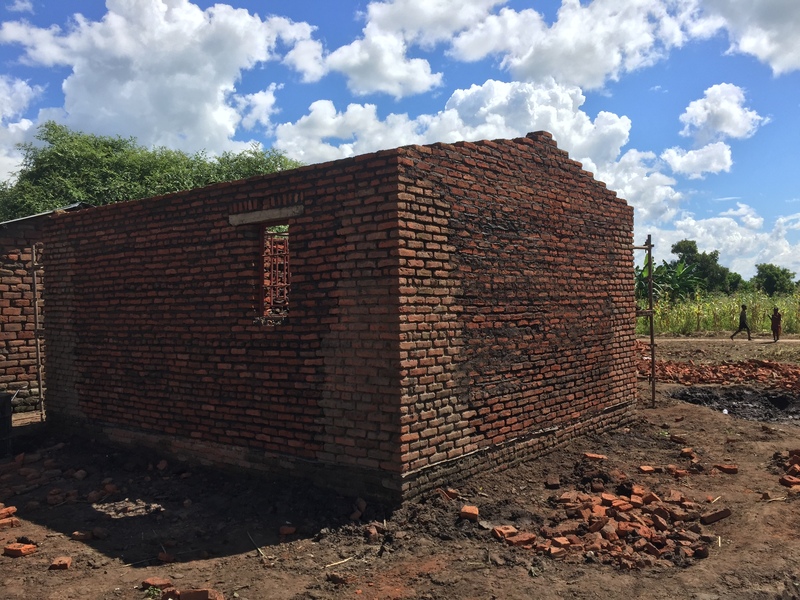 The team’s awareness raising and fundraising efforts, and hard work in Malawi are contributing to Sustainable Development Goal 11 by helping to make the community of Salima inclusive, safe, resilient and sustainable. 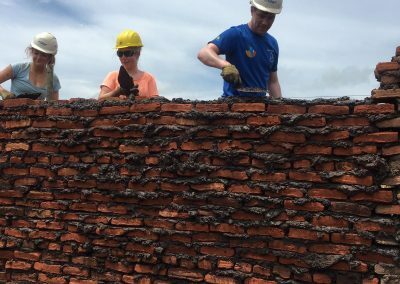 Learn about volunteering with Habitat for Humanity Ireland here. Learn about how you can help raise awareness of global housing issues through Habitat’s ‘Build Solid Ground’ campaign here.